Apartment am Strand, schöne Aussicht auf das Meer, Pool auf dem Dach. Gratis Wifi. Diese Wohnung im ersten Stock befindet sich am Strand El Peñoncillo, Torrox Costa. Das Apartment bietet einen kostenlosen, unbegrenzten Internetzugang mit einer TV-Box für englische Kanäle. Ein großer Charme ist der Strandbalkon mit Meerblick. Es ist perfekt für den frühen Morgen Schatten und ein großartiges um die Sonne von Mitte des Tages zu genießen. Das Apartment verfügt über eine voll ausgestattete Küche mit einem großen Wohnzimmer mit Zugang zum Außenbalkon durch Terrassentüren. Der Esstisch bietet bequeme Sitzgelegenheiten für 5 Personen und im Wohnbereich befinden sich 2 große Ledersofas. Der Balkon hat auch einen Esstisch mit Platz für bis zu 5 Personen. In der Lounge gibt es nur eine Klimaanlage mit Fernbedienung. Das Anwesen bietet auch die Nutzung der Dachterrasse, die die Breite des Gebäudes überspannt und einen herrlichen Panoramablick auf die Küste, den Strand und die Berge bietet. Die große Liegewiese verfügt auch über ein gemeinschaftliches kleines Schwimmbecken auf dem Dach mit Toiletten und Dusche. Das Anwesen verfügt über einen guten Zugang für Rollstuhlfahrer und verfügt über einen Aufzug zu allen Stockwerken. Es gibt auch einen kleinen Supermarkt im Erdgeschoss neben dem Apartmentblock. Es gibt ein paar wundervolle Strandrestaurants am Strand El Peñoncillo, ideal um frischen Fisch zu genießen, der an diesem Tag gefangen wurde. Torrox Costa Promenade ist nur 10 Gehminuten entfernt. CLEAN AND COMFORTABLE PROPERTY EXACTLY AS DESCRIBED. 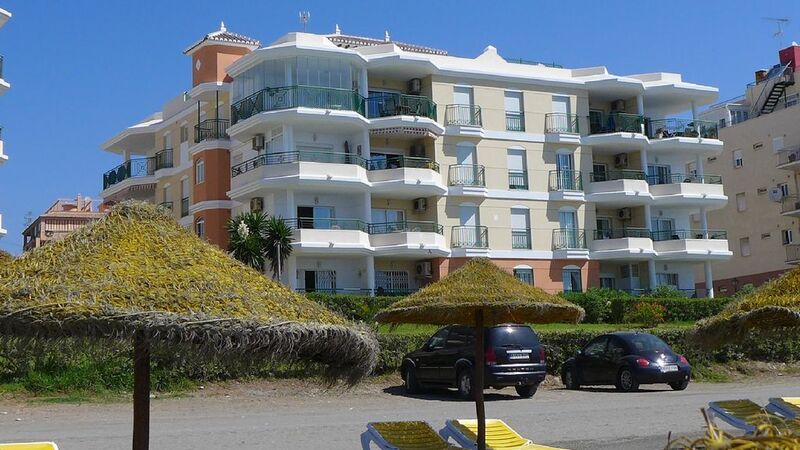 LOVELY POSITION OVERLOOKING THE SEA QUIET AREA 15 MINS WALK FROM TORROX COSTA. USED THE LOCAL BUSES AND VISITED NEARBY TOWNS. The welcome we had in Torrox, we have not had anywhere. No one expected us in the apartment. We called the representative of the owner who should have expected us. He did not come, just told us that one set of keys were in the mailbox and the other one would bring it on Monday morning. hangers so everything that could not be hung had to be stored in the suitcases. It was very complicated in a small bedroom, where there is very little space. A hairdryer and a roll of toilet paper are standard, unfortunately not in this apartment – were missing. On Monday we were expecting the agent, who had to bring the second keys. As he did not come, we called him again. We learned that he was in Malaga and would come with the keys in 1-2 hours. Again we were wasting our time by waiting for the keys. He arrived at 6 p.m , told us that he had no time and would bring the keys the next day. We tried to explain to him that we urgently needed two keys. He was very rude and after unpleasant talk that we had, he told us that he would bring the keys in the morning and then he left the apartment. As far as the apartment is concerned : The kitchen is well equipped, two bathrooms are a nice plus, the sea view from the balcony is fantastic. The surroundings of the house are nice and clean. Unfortunately, we did not feel in the apartment like welcome guests. La ubicación inmejorable frente al mar, el apartamento muy espacioso y limpio, la piscina es pequeña pero suficiente teniendo el mar a 20 metros. Hemos pasado una semana fantástica!!! El apartamento, piscina genial!! El balcón en primera línea de mar una delicia, el apartamento tiene de todo ,limpio y bien cuidado. Colin un encanto.En general perfecto!! Nice view but disappointing apartment. The appartment needs some updating. Lovely location with view but that’s all I can say positively. Bedding worn and dated. Furniture worn. Air conditioning not working. Communal pool. Best described as a plunge pool. Overall apartment did not meet expectations for price paid. Very disappointing. Will not be returning or recommending to anyone. The air conditioning has always been fully functioning and is checked regularly by our managing agent. The Roof Top communal pool is standard size for an apartment block. The internal décor,furniture, bedding and linen may show some evidence of wear and tear commensurate with a popular apartment which has lots of lets. Our managing agent is always instructed to replace and renew any bedding and linen not fit for purpose.